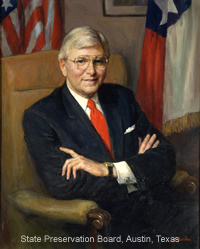 Mark White (official portrait, pictured) , a former governor and attorney general of Texas who became an outspoken critic of the death penalty, died on August 5 at the age of 77. Mr. White served as governor from 1983 to 1987, during which time he oversaw 19 executions. 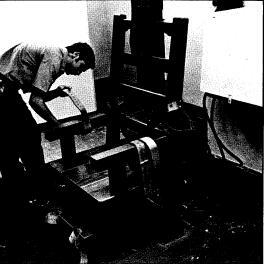 In an unsuccessful comeback bid in 1990, a campaign ad touted his strong support for the death penalty, featuring photos of the men executed during his tenure as governor and declaring, "Only a governor can make executions happen. I did and I will." Over time, however, his views changed and he became an advocate for the wrongfully condemned. In May 2014, White published a reflective op-ed in Politico, in which he declared that the administration of the death penalty is egregiously flawed. Citing the botched April 2014 execution of Clayton Lockett in Oklahoma, White wrote that the death penalty lends itself to mistakes and abuse. Lockett died of a heart attack approximately 40 minutes after the state began administering an untested lethal-injection protocol. 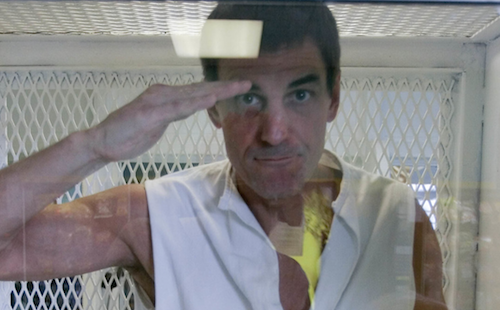 “As I’ve watched how the death penalty has been administered over the years," White wrote, "both in Texas and around the country, it has become increasingly clear to me that we just don’t do a good job at any phase of the process, from ensuring that capital trials are fair to the actual handling of executions themselves." White wrote that the death-penalty system is plagued by arbitrariness. "We now have incontrovertible evidence that America’s criminal justice system does a poor job of determining who deserves the death penalty,” he said, noting that 12 Texans had been among the many people released from death row after evidence of their innocence emerged. Since the publication of White's op-ed, that number has risen to 13. As a "recovering politician," White volunteered to work with reform groups and innocence organizations in an attempt to redress his concerns about the unfairness of the criminal justice system. In 2012, he lent his voice to the NAACP Legal Defense and Educational Fund's efforts to obtain a fair sentencing hearing for Duane Buck—who had been sentenced to death after a defense mental health expert, and then the prosecutor, told the jury that he posed an increase risk of violence to society because he is black—narrating the video, A Broken Promise in Texas: Race, the Death Penalty, and the Duane Buck Case. He also served as the long-time co-chair of The Constitution Project's Death Penalty Committee, on which he worked with other former prosecutors, governors, and corrections officials to advance bi-partisan efforts at death-penalty reform. Lawyers for Texas death-row prisoner TaiChin Preyor (pictured), whose prior federal habeas lawyer relied on research from Wikipedia and the guidance of a disbarred lawyer, have filed motions in state and federal courts seeking to stay his scheduled July 27 execution. His pleadings allege that he was represented by a succession of inept counsel, including a penalty-phase lawyer who failed to interview key witness or seek critical mental health testing; a post-conviction lawyer who met him for the first and only time on the day of his state habeas evidentiary hearing; and federal habeas counsel consisting of a disbarred lawyer and a real estate lawyer who defaulted a significant constitutional claim of prior counsel's ineffectiveness. Preyor was convicted and sentenced to death in 2005. The prosecutor told his sentencing jury that Preyor came from a “wonderful family” full of “outstanding people.” The new pleadings, however, set forth facts recently discovered when new counsel was provided funding to investigate his case: that Preyor endured a "harrowing" childhood "marred by severe physical and sexual abuse," and that he "turned to alcohol and drugs at a young age to cope with this unrelenting abuse." Preyor repeatedly witnessed his mother being beaten by numerous boyfriends and was threatened with a knife by one of them when the boy attempted to intervene. While still in elementary school, he was repeatedly sodomized and digitally penetrated by a close family member. While a teenager, he broke his ankles jumping off a 4th floor balcony to escape his mother, who was chasing him with a knife. The recent court filings seeking to re-open his federal habeas proceedings say this information was never presented to the federal court because his federal habeas counsel — a probate and estate planning lawyer with no death penalty experience — was "woefully unqualified" and "relied on Wikipedia, of all things, to learn the complex ins and outs of Texas capital-punishment." That lawyer, Brandy Estelle, so clearly lacked the necessary qualifications that the Fifth Circuit refused to appoint her and a judicial clerk reviewing death-penalty cases contacted the Texas bar to seek replacement counsel. Further, the motions allege, Estelle was actually a front who did no more than sign the documents filed in court; Phillip Jefferson, a disbarred lawyer who had misrepresented himself as a lawyer to Preyor's family actually drafted the pleadings. 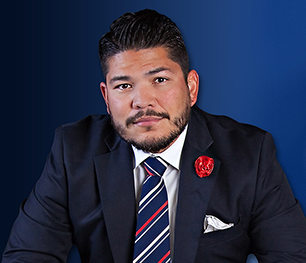 According to Preyor's current counsel, Jefferson and Estelle collected money from the family for their services, while Estelle also submitted invoices for payment to the federal courts. The motions ask the state and federal courts to stay Preyor's execution while this "fraud upon the court," the ineffectiveness of prior counsel, and the newly discovered evidence can be reviewed and assessed by the courts. Preyor has also asked the Texas Board of Pardons and Paroles to commute his sentence, or alternatively, grant him a reprieve so that the legal issues in his case can be reviewed. Five Texas prisoners have received stays of execution so far in 2017, from either the state or federal courts. Texas has carried out four executions in 2017.